- This is a Interview from tournament GO4BALKAN. 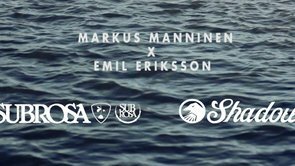 - EMIL ERIKSSON - FULL PART 2013 - Filmed in California, France, Spain & The Netherlands. Representing Rite.se, Subrosa & The Shadow Conspiracy. Filmed by Markus Thoreson and others. Enjoy! - Dennis Lindqvist gör en backflip ner i hamnen i Nyborg efter Kalix Watercross 2013.